Chocolate is not just dessert; it’s everything you need! 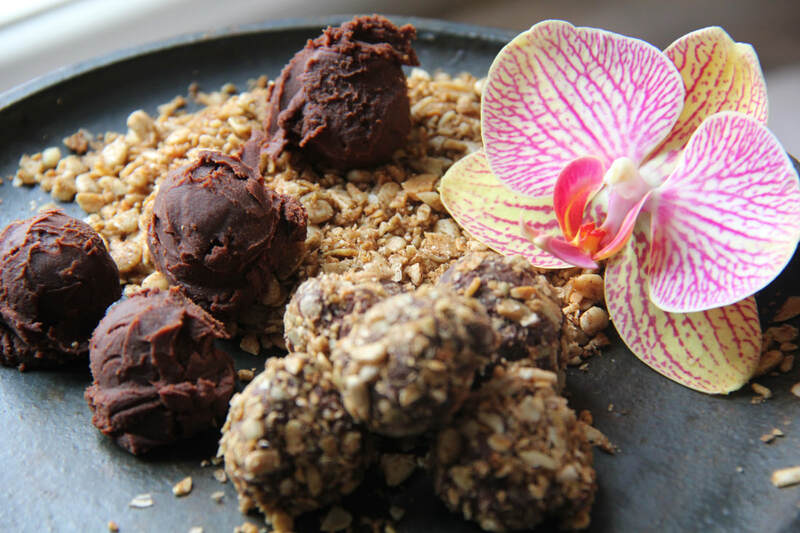 Join chef Liz Barbour as she explores chocolate as both a sweet and savory ingredient. Learn about the different types of chocolate, how to select a chocolate based on its fat and sugar content, and how to use chocolate as the main ingredient in recipes that are not just for dessert. Enjoy a cooking demonstration of two delicious recipes and samples. Learn how to turn your holiday buffet table into a beautiful work of art. Chef Liz Barbour will demonstrate how to use found objects, fruits, vegetables, fine china, fresh herbs, and flowers to create a three-dimensional still life designed for your buffet table. Following Liz’s demonstration she will offer a cooking demonstration and tasting of 2 seasonal side dishes any cook can recreate at home. ​Still Life demonstration and cooking demonstration. In both art and literature, food invites passion. Romantic foods don’t have to be limited to oysters and wine. Food color, texture, and preparation all play a part in a passionate meal. Spicy food will get your heart rate going and make your cheeks flush and a beautiful plate can bring tears to your eyes. Learn about the foods of passion and how you can prepare recipes that entice. Enjoy a cooking demonstration of 2 passion inducing recipes and samples. Holiday entertaining can be stressful, but it doesn't need to be. Chef Liz Barbour shares catering secrets that will help you to create a party menu that is simple and stress free. Liz will discuss shopping lists, preparation check lists, and passing tray decoration tips that you can recreate at home. Liz's discussion is followed by a cooking demonstration and tasting of 2 of her favorite hors d’oeurve recipes. Making pies isn't as hard as you might think! Chef Liz Barbour will talk about the history of pies, how to make tender, flaky crusts, and what sweet and savory fillings to use. Following her discussion she will demonstrate how to make the perfect pie crust followed by the demonstration of 2 delicious pies for everyone to sample. Don't miss this tasty class!